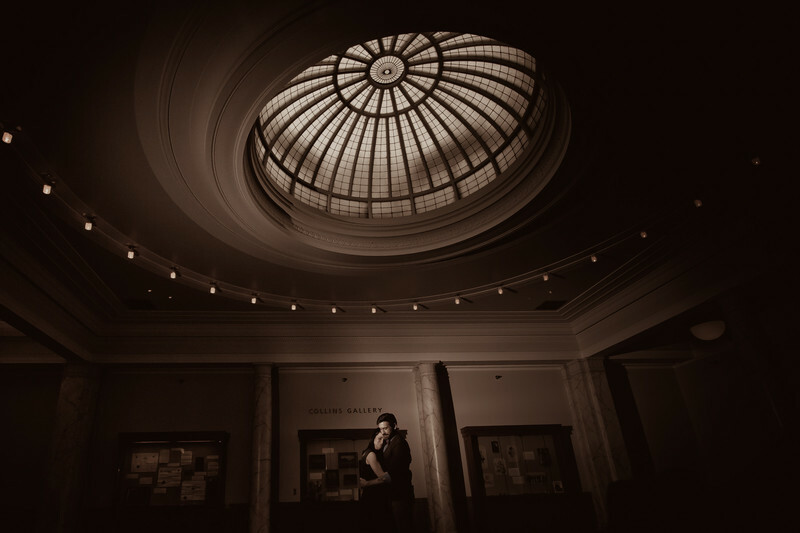 Sam & Michael had their creative engagement session at the Multnomah County Library. This image was created on the top floor with the large glass dome as a fixture of the photo. Location: Multnomah County Public Library.